Welcome to eZee Insider, keep you up to date with what’s happening in eZee. 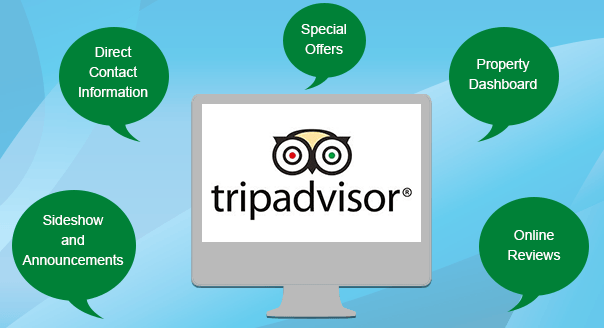 In this edition, learn how you can increase your bookings with tools available in TripAdvisor. eZee iMenu now updated with latest features and new partner in country of France and much more. 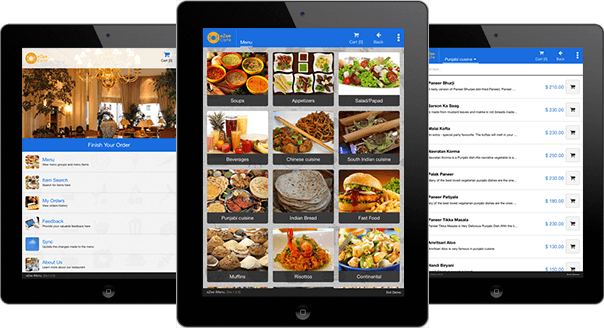 eZee iMenu, digital menu specifically designed and developed for restaurant and catering industry for Android Tablets and iPads has been updated with brand new features. You can access the new features of eZee iMenu by updating your current version with newer version from App Store and Google Play Store. eZee Application will allow restaurants to create their own customizable and interactive digital menus, which can be used by the customers or the waiting staff. The latest features are result of constant feedback and communication with our clients. Below is the list of all the features which have been updated. eZee iMenu now comes ready with ready integration with eZee iFeedback allowing you to collect feedback from your customers more efficiently. The ready interface allows for easy data collection, analysis and superior user experience. This new feature makes eZee iMenu to be used in multiple currency easier without having to worry about decimals. Now you can choose up to 4 digits after decimal point for currencies which have higher decimal places. Item search has been updated with new filter allowing for more specific search for Vegetarian and Non-Vegetarian items. D-CARTE signed a reseller partnership agreement with eZee becoming the first ever in the country of France. D-CARTE is going to exclusively market and resell eZee BurrP! and eZee iMenu in the country. The company located in Paris, is a pioneer in promoting video solutions in the country with a wide diverse clientele. D-CARTE is a pioneer of a patented technology, VIDEOPAPER, allowing easy integration of an LCD screen in various communications media. In addition, they provide expertise to companies in transitioning from traditional materials to more digital and dynamic mediums. The partnership will allow eZee to expand in France and other parts of Europe. We look forward to working closely with D-CART and further expand the eZee brand in the region. India‘s first chain of backpacker hostels adapts eZee solutions for management and online distribution. Zostel is currently operating hostels in 3 popular tourists spots - Jodhpur, Jaipur and Udaipur in Rajasthan, India. them to run day-to-day operations like reservations, bookings, check-ins and check-outs. eZee Reservation and eZee Centrix will take care of their online distribution in all of the three locations. In addition, two of the Zostel locations is also using eZee BurrP! as their Restaurant Point-of-Sale system. All of the products provide a seamless integrated ecosystem giving management of Zostel great control over the operations. eZee looks forward to providing them with 24x7 support and building a long-term successful relationship. Lan Ting Business Hotel located in Taipei, Taiwan implents eZee Centrix as their online channel manager and becoming eZee’s first ever client in the country. Formerly known as Mei Xuan Business Hotel, the 58 room hotel will distribute its rates and inventory across various GDS and OTA channels and manage it by eZee Centrix. One of the oldest hotels in the city, the hotel was founded in 1919, located in the heart of Taipei main station business district and close to the high speed rail. Lan Ting went through a major renovation and expansion in 2013 and were looking for a system that would enable them to distribute online. eZee Centrix will provide the staff with all the tools and features require to run their online distribution more effectively and efficiently. eZee looks forward to a long term business relationship with Lan Ting Business Hotel and offer 24X7 Support. Direct Contact Information: Add up-to-date contact details to your hotel’s profile page making it easy for your travelers to book directly. Reply To Reviews: Probably the single most important thing you can do is to reply the reviews posted by users, after all that’s what people read the most on TripAdvisor. Regardless if your hotel has received a positive or negative review, it is very important that you reply to it no matter what. Just a simple a reply can put big impressions on travelers. If possible, have a dedicated person who looks after reviews online and establish the practice for managing online reviews. Update Information: It is more common than you think that many times hotels might have the wrong number listed or the page has not been updated. This is probably the worst thing you could do, the traveler will most likely avoid your hotel if the information is wrong or is not up to date. Write Proper Descriptions: Spend quality time on the description which potential guests are going to read. It is very important write a proper and detailed description of your hotel, as you are the best person to do so. Description should Speak the strengths of your location and services you provide, setting yourself apart from the competition. Right Photos: The best way to showcase your hotel is to have the right combination of high quality photos of your property. Have a diverse collection of pictures that not only show your rooms and lobby but also other facilities. Get creative with your pictures, take pictures of art and decor in your lobby, show case rooms with different view points, pictures of views from your hotel rooms etc. Showcase Awards: TripAdvisor regularly rewards hotels with their Travelers’ Choice Awards which cover various categories. If your hotel has received one, make sure to highlight that on your hotel website and TripAdvisor page. TripAdvisor with various options available for hoteliers allowing them to maximize their online presence. Hoteliers with the right practice in place can have the same exposure like big brands and increase their bookings.